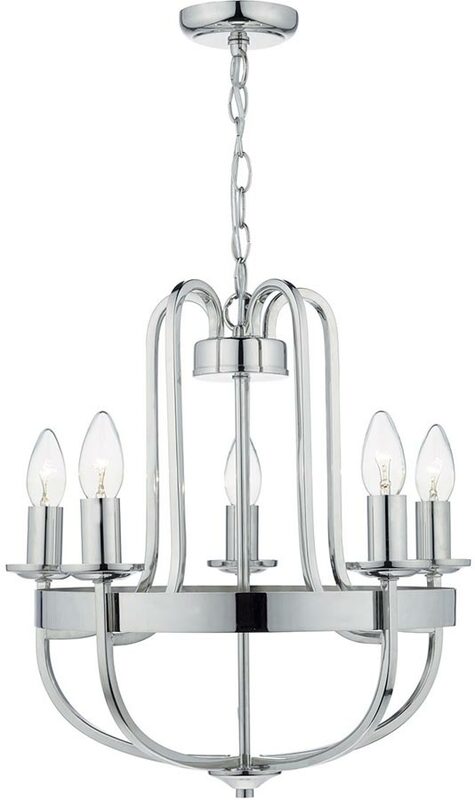 The Dar Heythrope 5 light basket chandelier in polished nickel is a contemporary take on a classic style pendant. 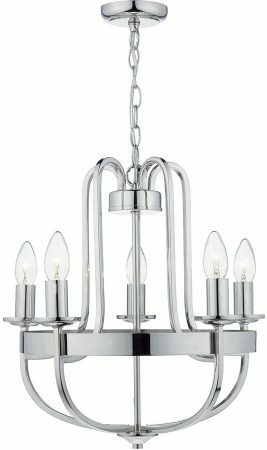 Polished nickel ceiling mount and chain suspension supporting a basket chandelier, with five candle lamp holders fitted with candle pans and tubes. Supplied with 1m of chain that can be shortened to get the ideal height for your room. This chandelier features a thick metal band around the circumference that finishes it off beautifully and creates a classic look to this modern design. This fitting will make a fantastic addition to the modern or traditional home.